Are you visiting the Myrtle Beach Area? Are you looking for tons of discounts? 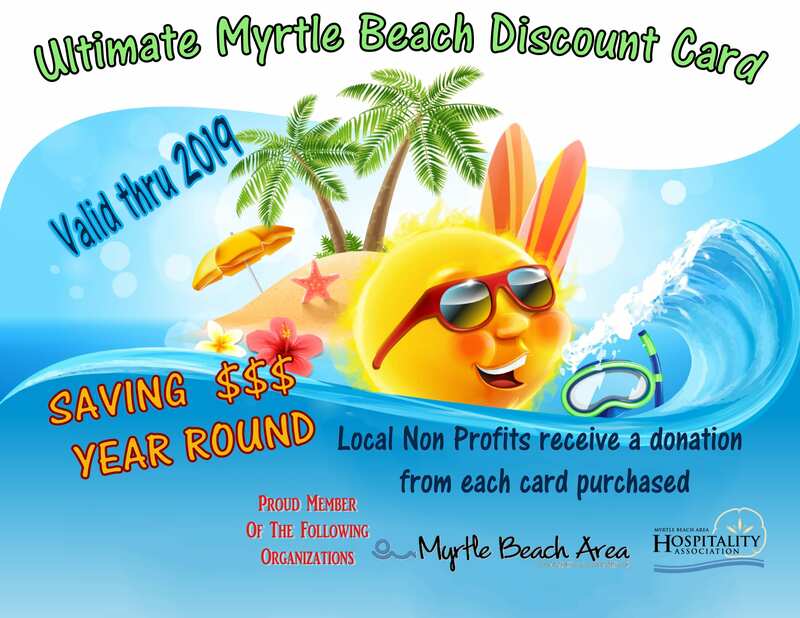 Get your Ultimate Myrtle Beach Discount Card Here! Not just discounts for GTS Theatre, but discounts for Entertainment & Attractions, Golf, Restaurants, Shopping, Spas & Services. Save TONS while you are in Myrtle Beach. Myrtle Beach Discount Card – More Information! Senior Citizens 60+ years or older receive a 15% discount, this discount can not be used in combination with any other discount. Our best value for locals is our SEASON TICKETS. Please click on FAQ for Season Ticket Options. Active Duty and Retired Military Veterans always receive a 15% discount on their show ticket at GTS Theatre. Make sure you have your Active Duty ID Card or your DD214 with you to verify. We at GTS Theatre can not thank you enough for your service to protect and maintain our freedom. We must be able to see your id so please order your tickets at the box office directly. Do you wear one of these badges? Bring your badge with you and enjoy a 15% Savings off your family tickets. We can’t thank you enough for the job that you do everyday to keep our nation and cities safe. This offer can not be purchased online or over the phone. You may only purchase in person as we must be able to see the badge. Our box office is open 1 hour prior to any showtime. Limit up to 10 discount per family. Not valid for Group Sales. Please contact the theatre at (843) 765-4386 EXT 9 and speak with our Group Sales Department: Teresa or Beth are ready to assist you with making your visit to Myrtle Beach very memorable. Remember Groups of 25 or more have the ability to schedule special show times to accommodate your group. Whether you need a morning performance, afternoon performance or evening performance we can accommodate most requests.